By virtue of marriage, I’m surrounded in great part by many Carlton supporters. This has given me the opportunity to objectively watch where Carlton is at and it’s not all doom and gloom as many in the footy media say. I would say the injuries have impacted on their depth and their depth was not that great anyway. However, the point is simple. Carlton has to save Patrick Cripps, who has showed his loyalty by signing a new contract. Already a contested ball winner of note, Cripps needs to get onfield assistance and protection to help him. Witness the amount of bandaging he gets already as a 22year old. Recruiting staff earn their pay right here. Without assistance, Cripps will be bashed up and incrementally age prematurely as a result of the game he plays so well. Think of some examples of mature age recruits who have slotted in nicely at other clubs. Tim Kelly and Tom Stewart at Geelong, Ricky Henderson at Hawthorn, Brody Mihocek at Collingwood, Marley Williams at North, Jake Carlisle at St.Kilda, Kane Lambert at Richmond, Jeff Garlett at Melbourne…all just some examples of good recruiting. Carlton badly needs some big bodied midfielders to help Cripps. Matt Kennedy was recruited under the SOS-raids-GWS plan and has been helpful there but he’s not that experienced yet. Patrick Dangerfield rates Sam Walsh highly at the Geelong Falcons u18 team, comparing him to Joel Selwood…big shoes but worth keeping the number 1 draft pick. I’m thinking of any one, two or three of the following to help Cripps. Richard Douglas from Adelaide, Anthony Miles from Richmond, David Armitage from St.Kilda…all players who might be open to a move. Also maybe Adam Oxley and Josh Smith from Collingwood, Ryan Bastinac from Brisbane, Josh Wagner and Dom Tyson from Melbourne, Mav Weller from St.Kilda, Paul Puopolo from Hawthorn, Jackson Thurlow from Geelong, Mitch Wallis or Lin Jong from Bulldogs, Ben McNeice or Mason Redman from Essendon, Jackson Nelson from West Coast..you get my drift. 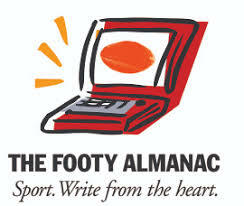 Then of course, there’s the lower leagues…the VAFA, VFL, WAFL, NEAFL, TFL, NTFL and SANFL in no particular order. There are players out there. You don’t have to give up the number one draft pick just to get talent. The time has come for Carlton’s recruiters to cast a wider net than ever before. There is plenty of young talent to nurture there and getting some players back from injury will definitely help playing stocks. The major job though is to protect Cripps and to ensure his longevity in the game. He’s genuinely good to watch…but for how long? Fearless, the Blues can’t seem to win here. We play some recycled players and we get criticized, then we play the kids and same again. Fact is, we don’t have any easy solutions. You’re right, Cripps is carrying an unfair burden for someone his age. But he’s doing a magnificent job at present. Help is coming, I hope.